Watch Hill Firefighters are always happy to provide mutual aid assistance to our neighbors! 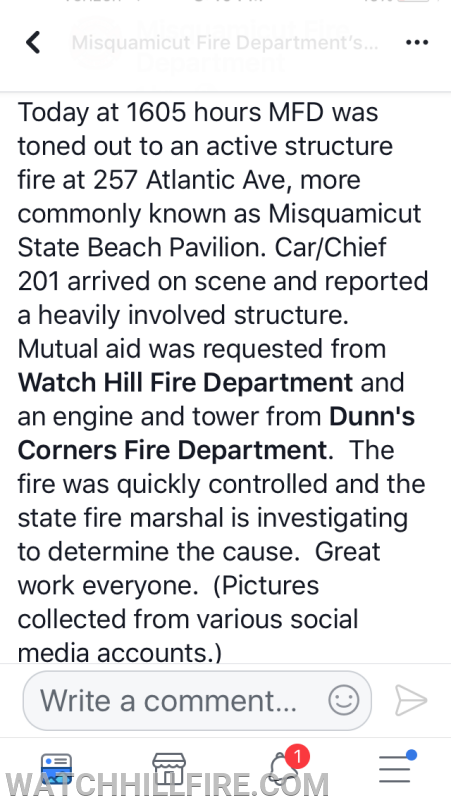 The well trained firefighters of the Misquamicut Fire Department performed very well and were able to quickly knock down and extinguish this wind driven smoky fire! They deserve all the credit on this day! We are always happy to provide mutual aid assistance to our neighbors! Misquamicut deserves the credit for their excellent work! 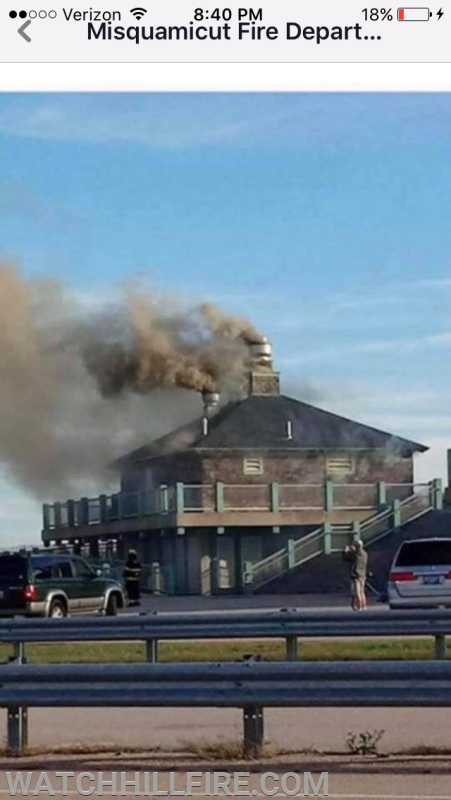 The fire scene as it appeared just prior to the arrival of the first Misquamicut Fire Engine. Chief 201 is on scene and has just completed a 360 degree size up.